drawmein: Draw Me In Appearance #14! 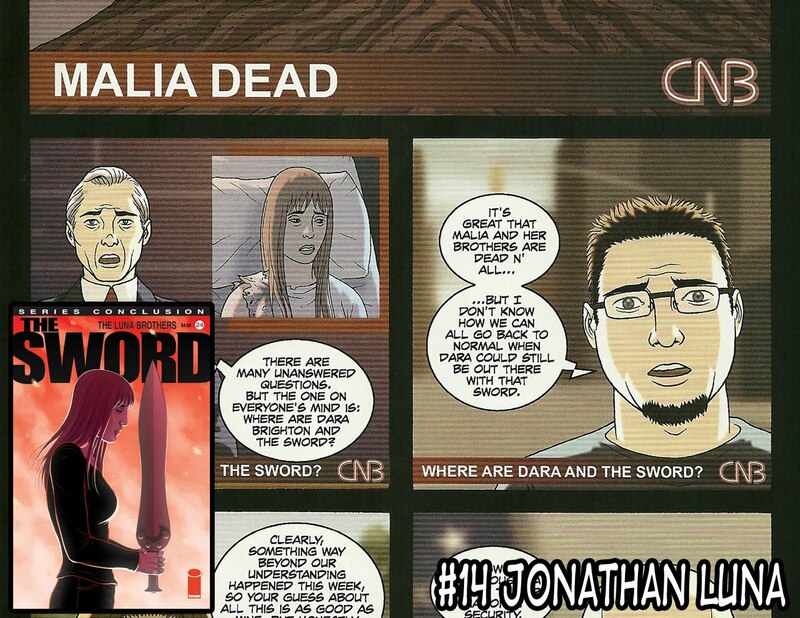 The Sword #24 by Jonathan Luna! Draw Me In Appearance #14! 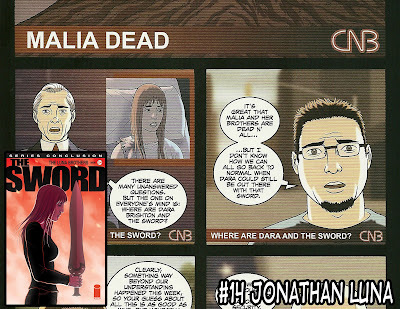 The Sword #24 by Jonathan Luna! So only a week after it hit stores, did I finally acquire my copies of the Luna Brother's series finale and my fourteenth DMI appearance, in The Sword #24! I had been a fan of their past work with Ultra and Girls, so I contacted Jonathan Luna early on with The Sword. I REALLY wanted to be in this book, but it was worth the wait. But talk about keeping me on my toes. 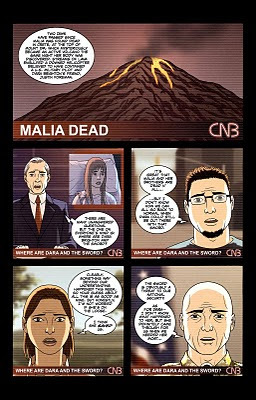 The last issue guys? That was a horrible countdown for me... ha ha ha. So here is the final product. "Look ma, I'm on TV!" *Update* Unofficial Posting of Appearance #14!